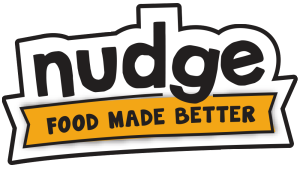 Nudge logo design, packaging design, character design, and copywriting for Greenspace brands. Sometimes change is easy and sometimes you just need a little nudge! GreenSpace Brands is not preachy, but rather lives by the motto that small changes can affect big results over time. Nudge was designed to give the younger household members a “nudge” in the right direction. Mack (our brand mascot) was created to add fun as he leads us through adventures both near and far. In his travels he has made friends who we will all get to meet over the months to come – in other words: we are already working on brand extensions. Our design mandate included the development of a comprehensive website.